Breaking news from DeKalb County this afternoon. 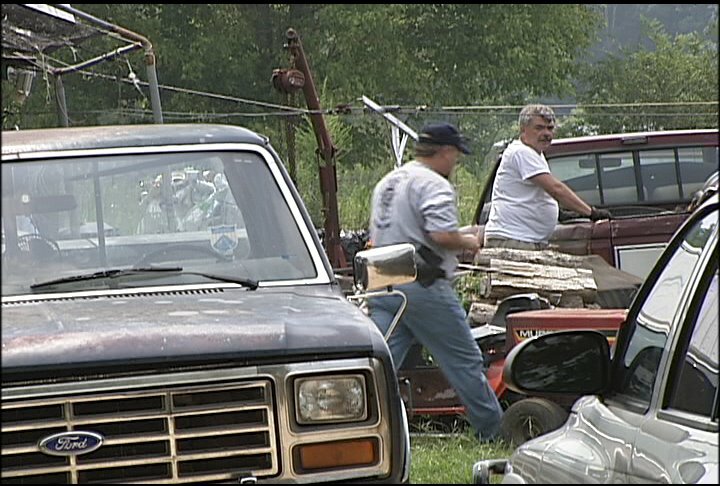 Got a call from the Sheriff saying they were digging up a body just outside of Crossville. We got to the scene to find investigators from DeKalb and Marshall county there. 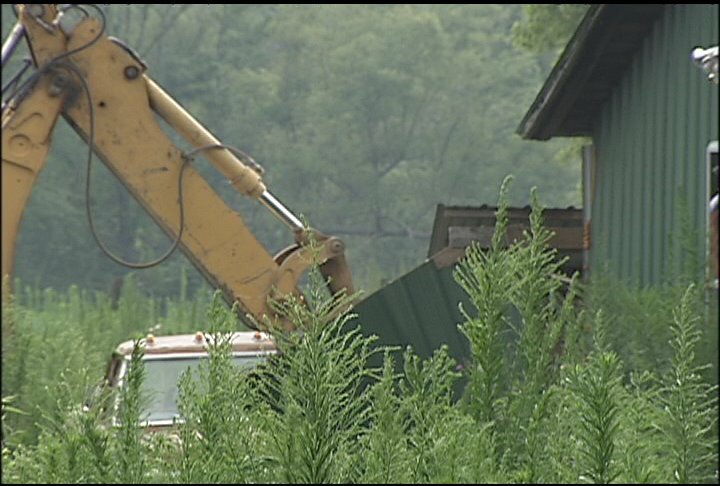 Seems an informant told them a body had been buried in a shed behind a house outside Crossville. After digging down a couple of feet, they hit concrete which had been poured on top of the body. So a backhoe was called in to unearth the concrete and get to the body. 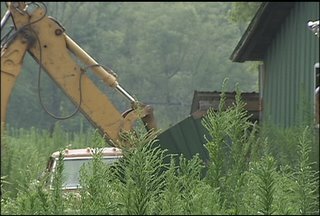 Right now, authorities aren't saying much about the circumstances surrounding the murder. But sources tell us that the dead man was a drug dealer robbed and killed for his money and drugs, then dismembered and buried here. 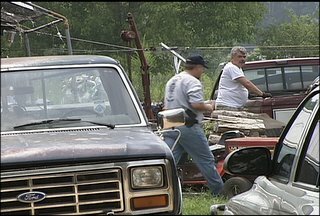 In the past, DeKalb county has been the dumping site for people killed in other places and brought here to get rid of them. It hasn't happened in a long time. Until today.